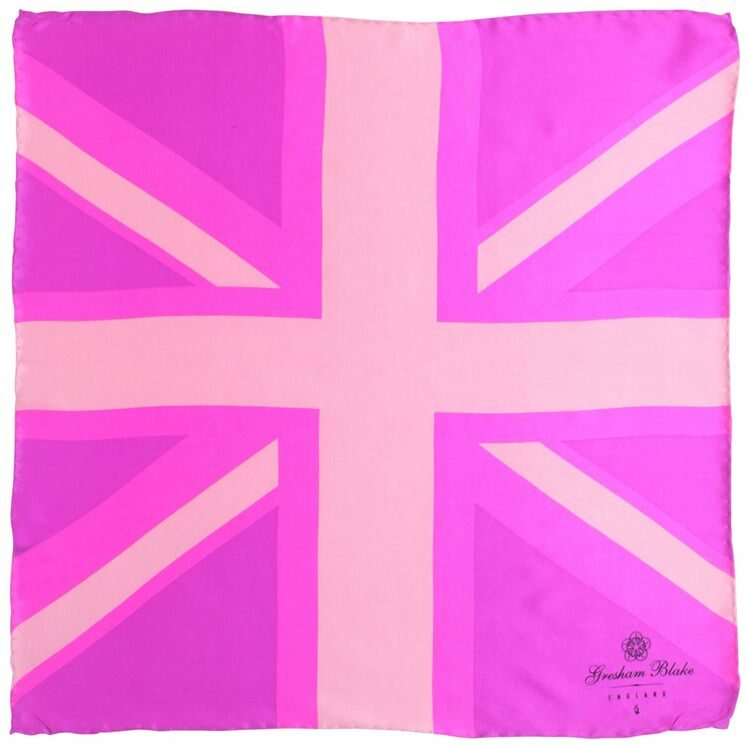 100% silk pink union jack flag pocket square. Measures 40cm X 40cm. Limited edition.